This Coloring Book is a COLLABORATIVE project. 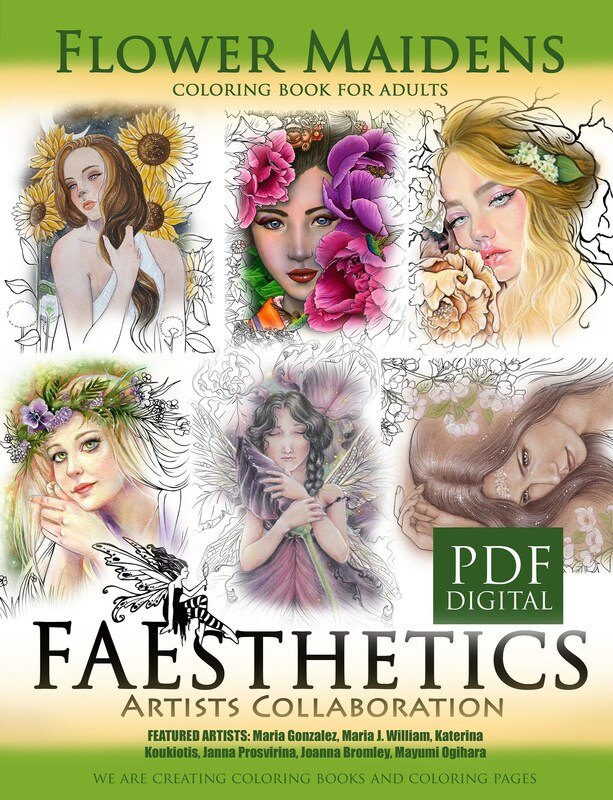 Faesthetics Volume II coloring book "Flower Maidens"
Five fantasy artists joined together to create it. These artists are: Janna Prosvirina, Katerina Koukiotis, Mayumi Ogihara, Maria J. Wlliam ,Joanna Bromley , Maria Gonzalez. 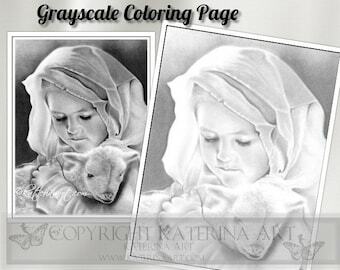 artists specializing in creating coloring pages and PDF coloring books. * You may NOT distribute, share or resell the BOOK you are purchasing. bubble, Zazzle, Cafepress, or any other. fairs\festivals\artist markets\shows, as long as each and every card is individually created by you and sold as one of a kind piece. You must always credit the artist and write their name somewhere on your card. Due to digital nature of this product, no returns and no refund will be offered. This image is adorable, although a little to light, I got it as a PDF and was able to print it darker which helped! However light, I enjoyed coloring this innocent little face, the challenge was a blessing!